Sorry, I’ve been waiting a while to say that. 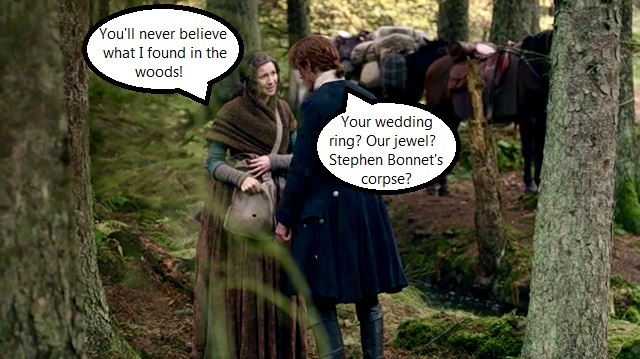 In what is already a fantastic season of Outlander, “The False Bride” is my favorite episode so far. Jamie is emotional. Claire is Claire. 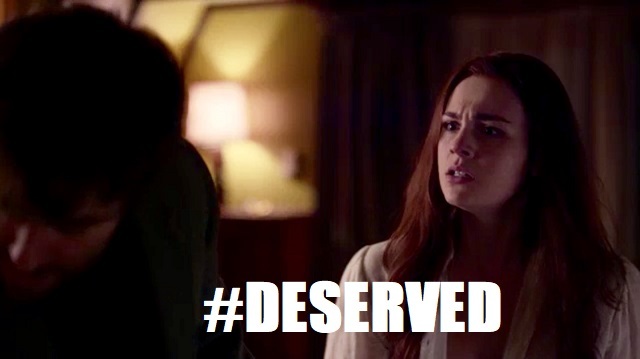 ROGER AND BREE ARE BACK!!!! Again, sorry. I’ve just really missed them. 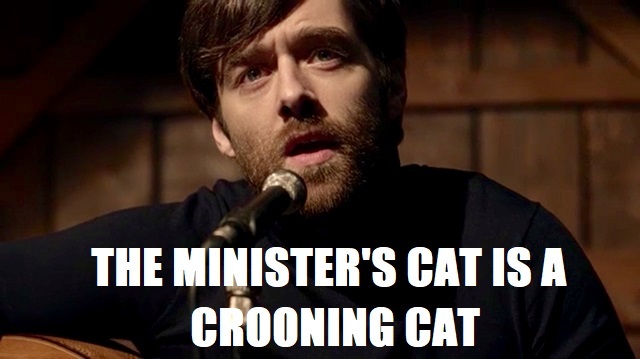 We have a lot to cover, from crooning to Clarence, so let’s saddle up and ride deep into the night with another round of Outlander Superlatives. SQUEE! It’s Roger and Bree! Look how cute they are with their Dairy Queen. I love Dairy Queen. And look at how swoony Roger is singing. I LOVE ROGER SINGING. 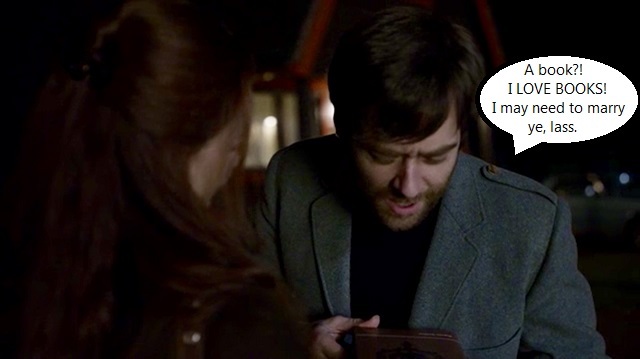 And remember last year when Roger gave EVERYONE books? The universe has paid him back. What? How can someone be co-MVP and also most slappable? 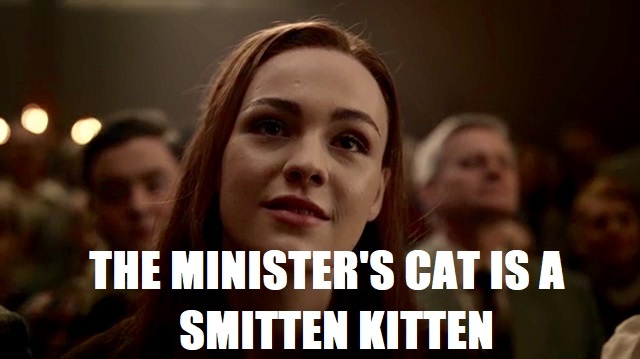 BECAUSE THIS IS OUTLANDER WHERE NOTHING IS SIMPLE. Let’s be clear: I love Roger. He was our 2018 Champion of Hunks, for Pete’s sake! And yes, I feel for him as he pours his heart out to Brianna only to have her tell him that it’s too soon. 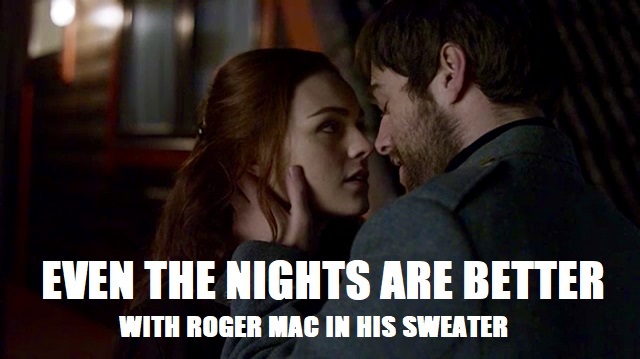 But Roger, it’s TOO SOON. She literally just called you her boyfriend, and she’s still coping with the fact that her father is an 18th century highland warrior and her mother is a time traveler. That’s not really the kind of thing a girl can shrug off in a year or two. SLOW YOUR ROLL, ROG. Don’t lash out and throw away a good thing. SHE GAVE YOU A BOOK. 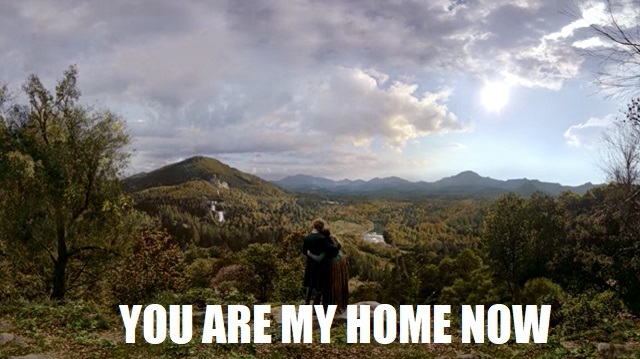 THE FRASERS HAVE FOUND THEIR HOME! This has been a long time coming. Between Black Jack and France and Culloden and twenty years apart and Laoghaire and Frank and Geillis and getting shipwrecked and getting ripped off by a pirate, don’t these two deserve a nice little home base by now? One with STRAWBERRIES, perhaps? I mean, sure, they have no idea if this land is spoken for yet, but it looks pretty deserted. 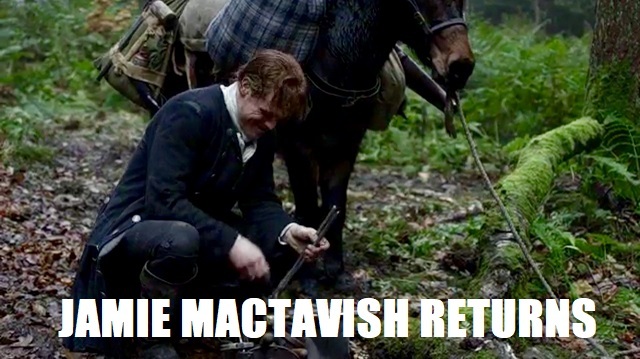 And JAMMF has a plan. 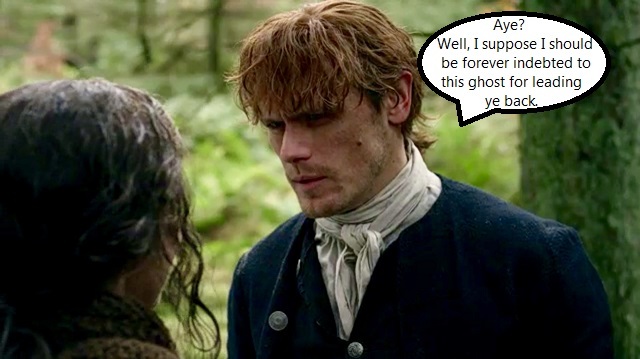 I love JAMMF with a plan. 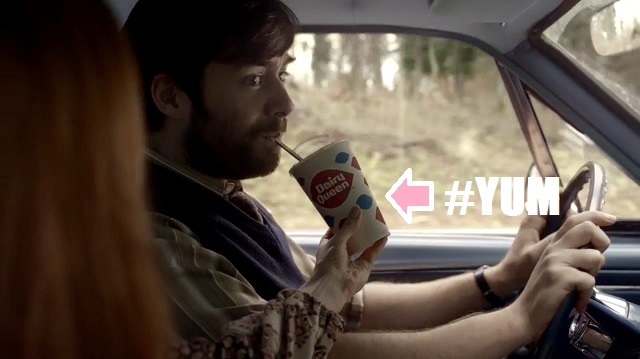 You may recall Frasertude making its splash in season 2, and again in season 3. Well, get ready, friends, because our favorite genetic affliction of being able to outstubborn anyone in the room is back. Wee Ian Murray is growing up! Declaring himself to be a MAN and refusing to be shipped off to Scotland is Frasertude through and through. It looks like Uncle Jamie and Auntie Claire are rubbing off on the lad. 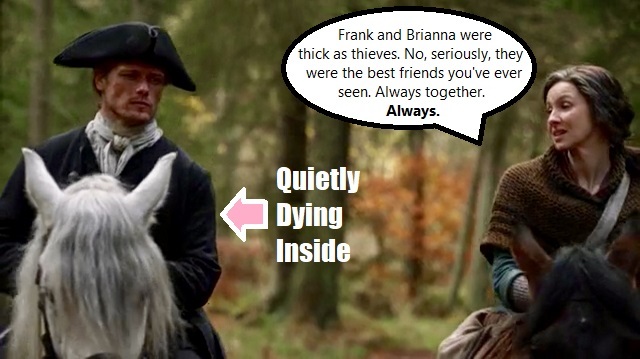 And then when she talks to Jamie about Brianna not finding her way, she has to rub in how close Bree and Frank were. 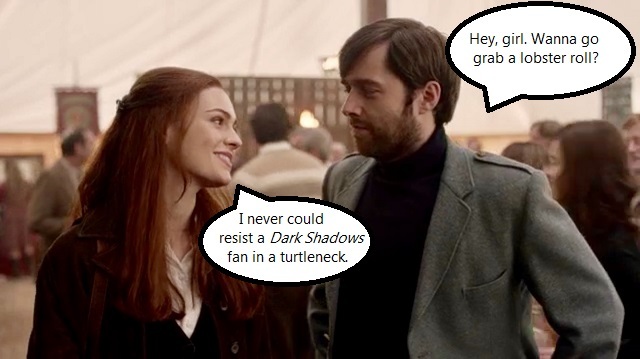 HE GETS IT, CLAIRE. FRANK RAISED HIS DAUGHTER. LORD JOHN IS RAISING HIS SON. HE IS A FATHER WHO CAN NEVER KNOW HIS CHILDREN. No need to rub salt in the wound. 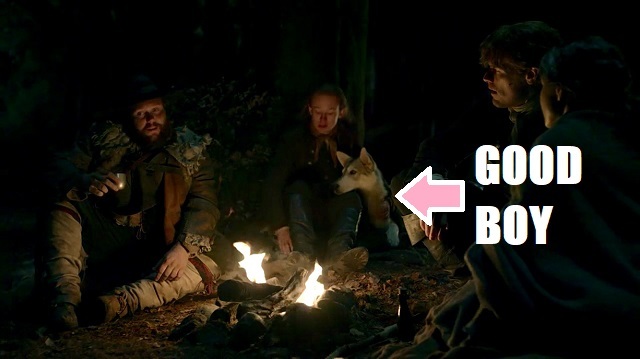 Will I ever stop pointing out Rollo’s cuteness? I mean, there will have to come a day where I’ll be forced to draw a line for the sake of time and space, but today is not that day because LOOK AT THIS ADORABLE SMOOSH. He loves his dad so much. 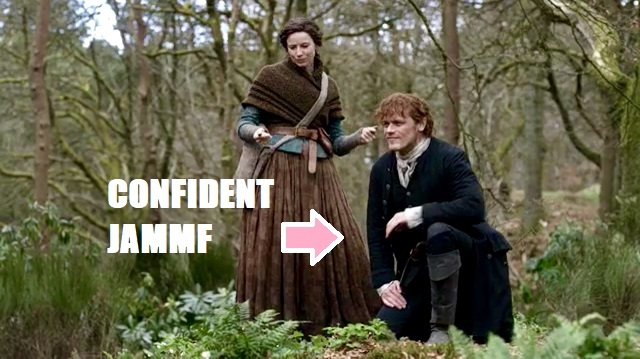 Is there anything dreamier than when JAMMF is at his JAMMFest? When Jamie talks about his life as an outlaw and tells Claire he would lay the world at her feet, it’s a good idea to have a fainting pillow nearby. 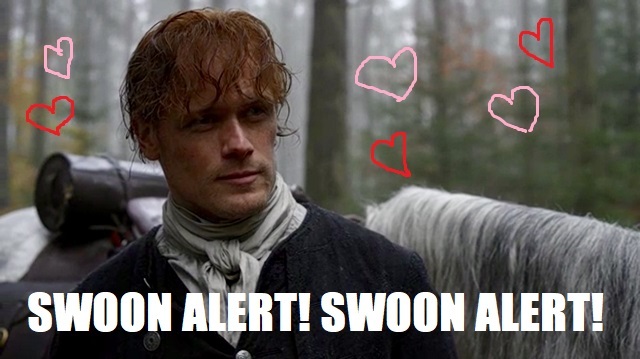 Add in the fact that he’s tending to his horse, giving major flashbacks to his days as Jamie MacTavish and Alex MacKenzie, and you’ve got yourself the perfect recipe for JAMMF Delight. Does it get any more Claire than chasing a runaway mule in the middle of the wilderness? Yup! 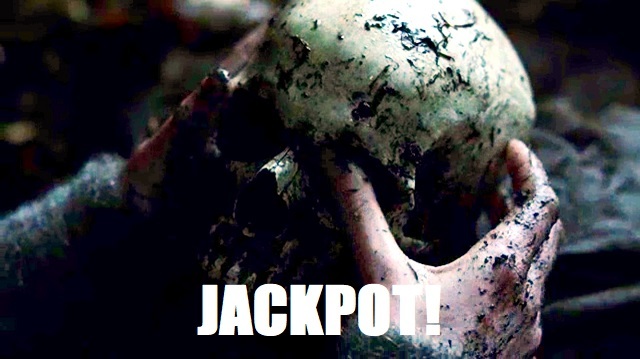 How about Claire picking up a random skull and sticking her thumb right in the eyeball socket? Wait! I’ll raise you one more. 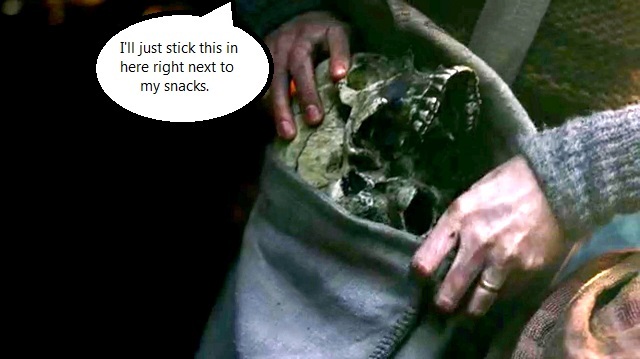 How about Claire putting that skull in her purse for safe keeping? Nope, that’s not all. 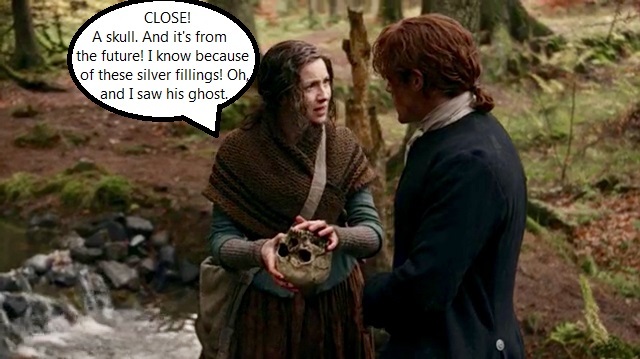 There’s also Claire showing off her treasure to Jamie and Jamie being nonplussed in his response. 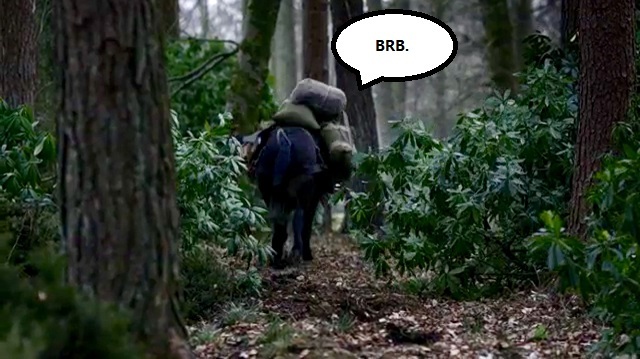 He’s gotten the hang of life with the Sassenach by now. 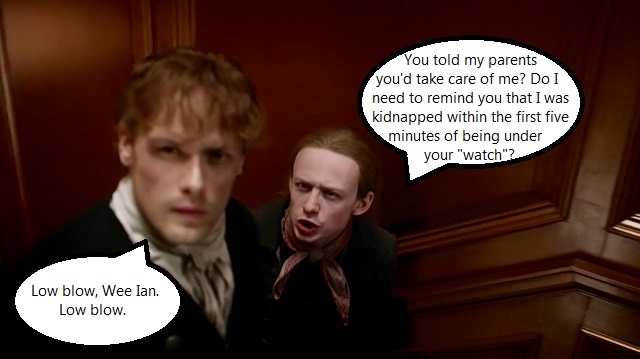 Only later does it seem like Jamie might be slightly concerned. What say you, clan? Are you excited about Fraser’s Ridge? 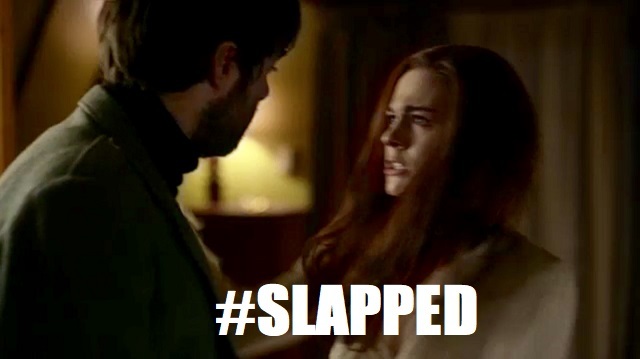 Are you ready to slap Roger? Do you want some Dairy Queen? I can’t wait to discuss what’s to come in “Common Ground”!